I thought I would have this finished by now, but I'm missing one little finishing touch. I was going to post pictures of it "as is" but it really looks terrible, so this will have to hold you over! 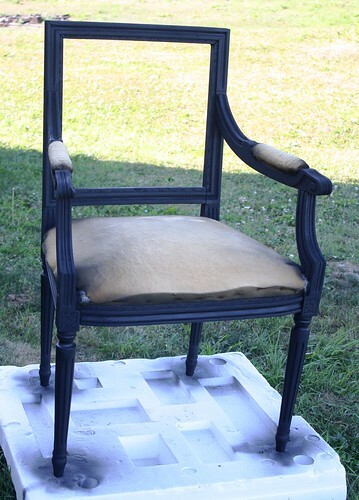 Update: See the finished chair here!